During my trip to Italy, I was nearby Venice when a friend told me that was the carnival week there and that we should definitely check it out. We had planned a visit to Venice but we never thought this special event was happening and that was a special treat. I have seen many pictures of this famous Carnival, but I have never imagined being part of it. A friend and I arrived there with high expectations. After walking on the first bridge we were already speechless. The city is gorgeous, very romantic and has a lot of charm. For this occasion, everyone was wearing masks and some of them were wearing specific 9th-century costumes. It felt like a movie. Discovering the city with a local friend helped us to learn more about Venice culture and curiosities. Our Italian friend brought us to the main square called “Piazza San Marco” crowed with musicians playing the violin and people dancing all very memorable and beautiful. At the square there is a church with an imprecise byzantine architecture, inside you can see the walls covered by golden mosaics. After that, we decided to explore more the city. We didn’t know but surrounded by canals Venice has more than 400 bridges. Gondolas and boats are seen all the time bringing the city even more charm. In a carnival mood, the visitors played confetti and danced in the middle of the street with their masks. We had lunch in a traditional restaurant with an amazing food, and of course, pasta. As desert we got and pistachio gelato, our Italian friend's option, and to finish a classic espresso. At the end of the afternoon, we walked all over the city and we decided to watch the sunset near one of the canals. It was one of the most beautiful scenes I have ever experienced. From there, I could see people enjoying the Carnival and the sun reflecting on the Italian waters. We discovered that a carnival party would happen in a palace, but we had already organized our next day, I am sure that I will participate in a next opportunity, this party provides an immersion in Venetian culture and all the guests have to wear the classic costumes. 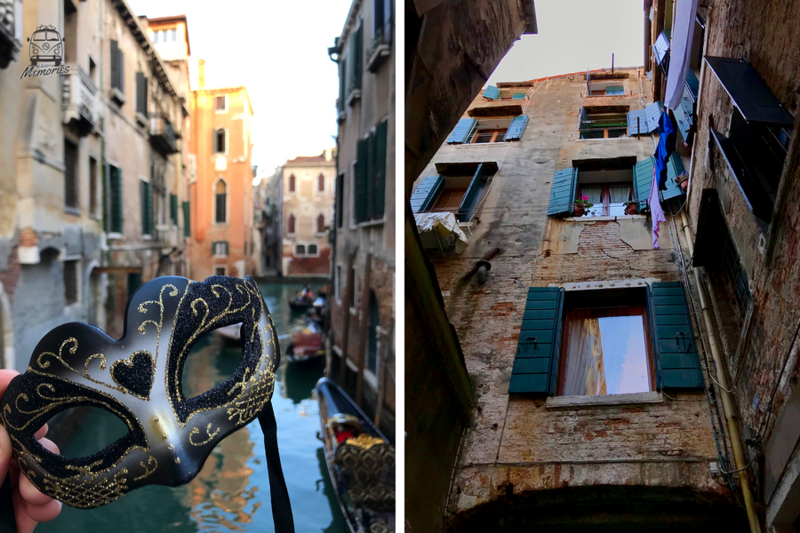 Venice brought me a cultural immersion and memories of a carnival that will never be forgotten. This memory belongs to our Passenger Felipe Banhara (@felipebanhara) . All the pictures belong to Felipe's personal archive. To know more about our Passenger Felipe Banhara, click here.